Hiking trip Monasteries Bulgaria, do you like adventure? 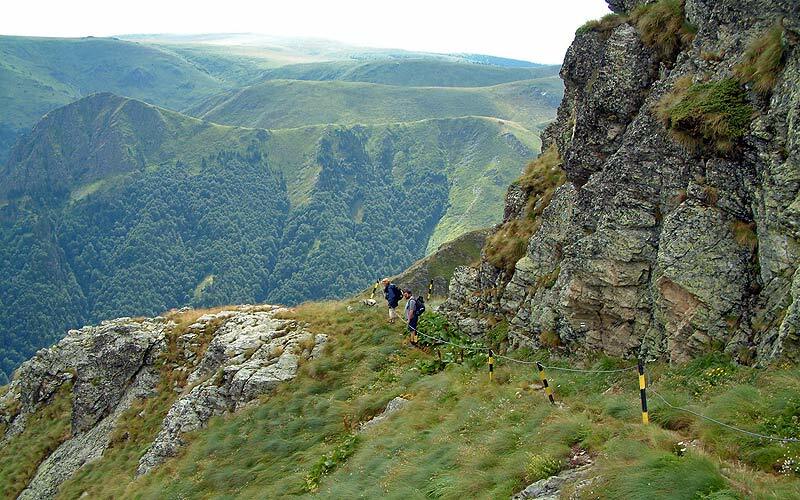 Guided hiking trip High Mountain, combined with visiting Bulgarian Orthodox Monasteries. Duration: 8 days, to choose from 2019. Why do this trip Hiking Monasteries of Bulgaria? 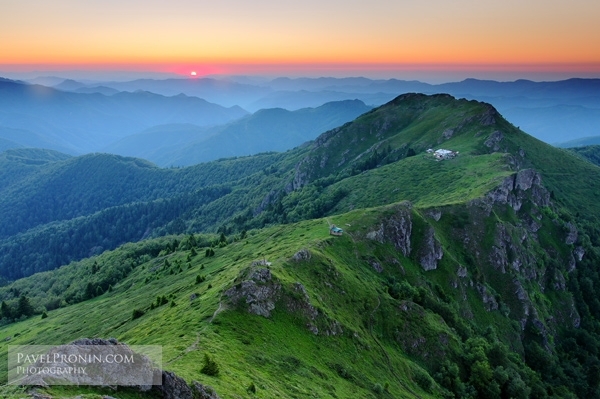 : The Balkan Mountain range is the longest in the Balkans, extends 555 km. and it has also given the name of the peninsula itself. It is a climatic and natural barrier separating the country into two parts, North and south. We will pass by the most famous and emblematic route, the Kom-Emine route that crosses Europe and in its part within Bulgaria has been origin of the current Bulgarian mountaineering. 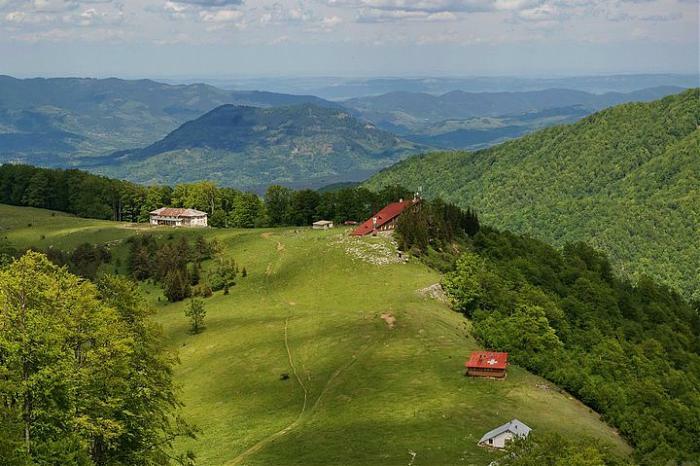 Along with the spectacular nature: ancient forests, waterfalls, peaks and rocks, many authentic villages and monasteries of the Bulgarian Renaissance hide. Albergue Mazalat, with peaks “Central Balkan Range” at the bottom. This is a kind Itinerary, for this particular offer Hiking Monasteries of Bulgaria (8 days), but if you want other dates or duration, Please tell us your query by Custom quote request. Day 1 Pick up at Sofia airport and transfer to hotel for overnight. 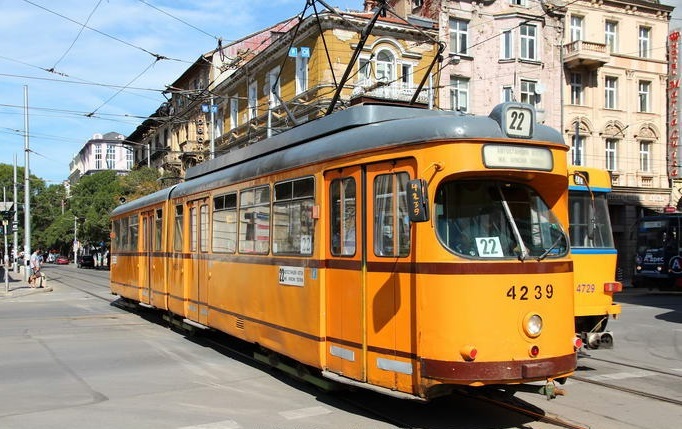 Day 2 – After breakfast we start with a transfer to the central part of the Balkan Range approx. 2 hours. The trek starts from the old village of Ribaritsa, to rise from ancient forests to the shelter of Vezen. We passed the biosphere reserve of "Tsarichina" included in the list of UNESCO as a nature reserve. Leisure at Vezen shelter and continue to the peak of Vezen (2.198 m) that is the highest in this part of the range. Then we follow the main ridge of the mountain eastward with stunning views of both sides of the ridge. Near the peak of "Yumruka" got into the picturesque retreat Ejo (1.645 m). Duration: ca.. 7 hours. Accommodation: albergue Venue. Pool Hotel in Chiflik natural thermal water (photo orientation, pending confirmation Hotel). Day 3 - This day is light, we will climb the peak Yumruka 1.819 m (which means "Fist") located near the hostel and come on down, through the beautiful forest Biosphere Reserve Kozya Stena (Goat Wall), to reach the typical village of Chiflik. 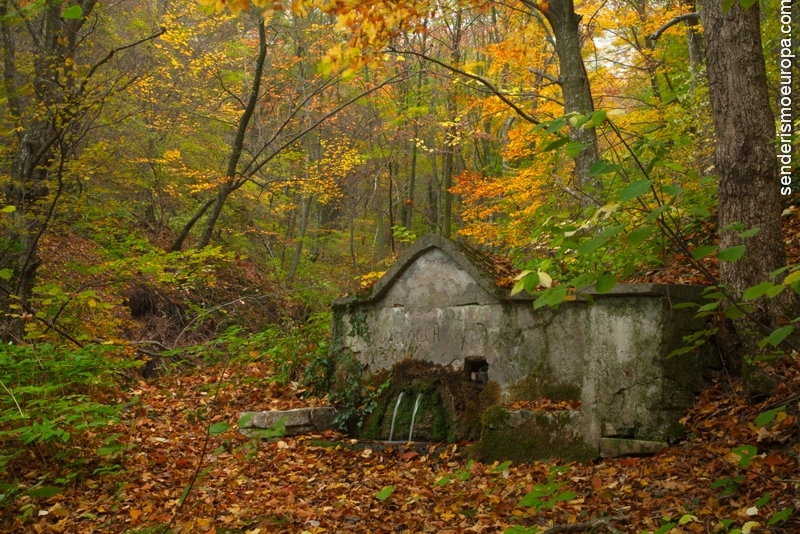 There we will stay in a hotel with natural thermal water pool surrounded by woods. 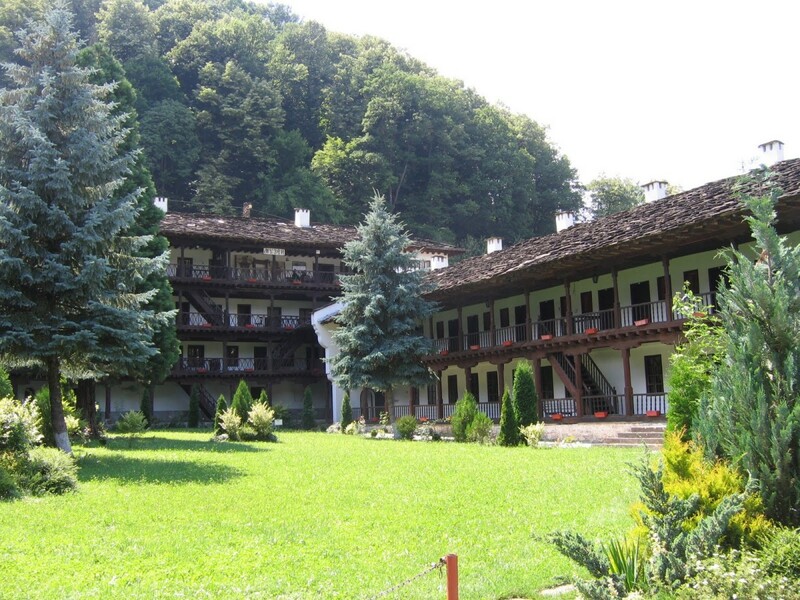 Day 4 – After breakfast we will transfer 30 minutes to the Troyan Monastery, which is the third in size and importance monastery in Bulgaria and in our opinion the most beautiful. Visit Monastery. After another short transfer we will reach the exit point of the trekking. We started by a gravel road until you reach the area Smesite (Mixtures), there several rivers meet. We continue Ambaritsa hostel (a 1.503 m) by a small, steep path. From there we continue with a slight rise to skirt the peak Levski (2.166 m). We went through the Cherni Osam river sources and llagamos the beautiful hotel-hostel Dobrila (1.804 m), where we stayed. Break. Duration: ca.. 6 hours. Accommodation: Hotel-hostel Dobrila. 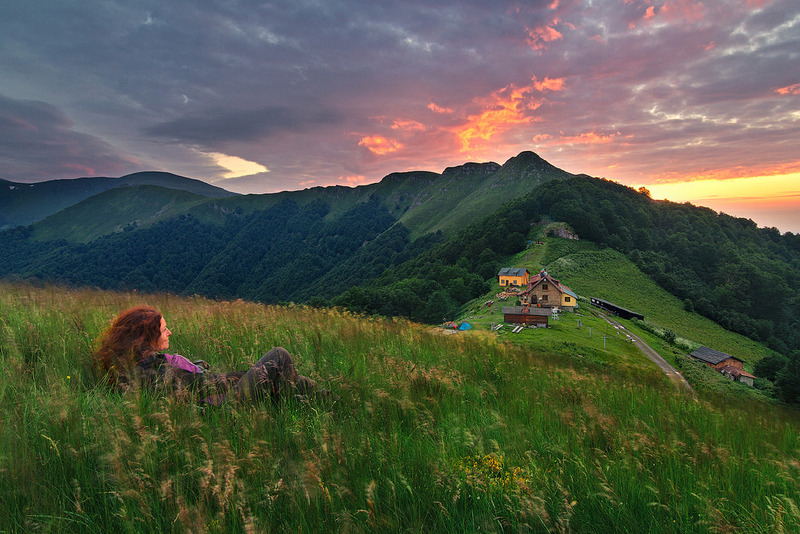 Day 5 – We expect the most beautiful and hard trekking along the crest of the Balkans , both technically and physically. Because of that reason we will start very early in the morning. We started with the climb on foot to the peak Levski (2.166 m), then cut down and climb peaks Kupena (2.169 m). Some places are very steep trail and to help metal wires are installed to grab hold of them, so it is advisable to wear gloves. 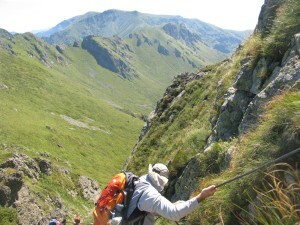 Then we continue to the end of the ridge from where begins the descent to the refuge of Pleven. Day 6 - Early breakfast. From the hostel Pleven begins a steep climb, in the top begins to be softer. We passed very close to the nature reserve of the biosphere "Severen Dzendem". 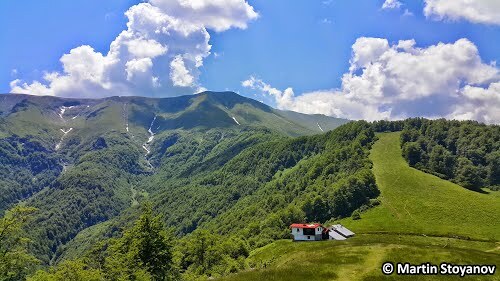 The day is dedicated to the ascent of the highest peak in the Balkans - Botev peak (2.376 m.). The peak is named after one of the most prominent revolutionaries in history Hristo Botev Bulgarian who fought against the Ottoman occupation in the late nineteenth century. Then we have Tuzanski step down to the shelter and Tuza (1520 m). 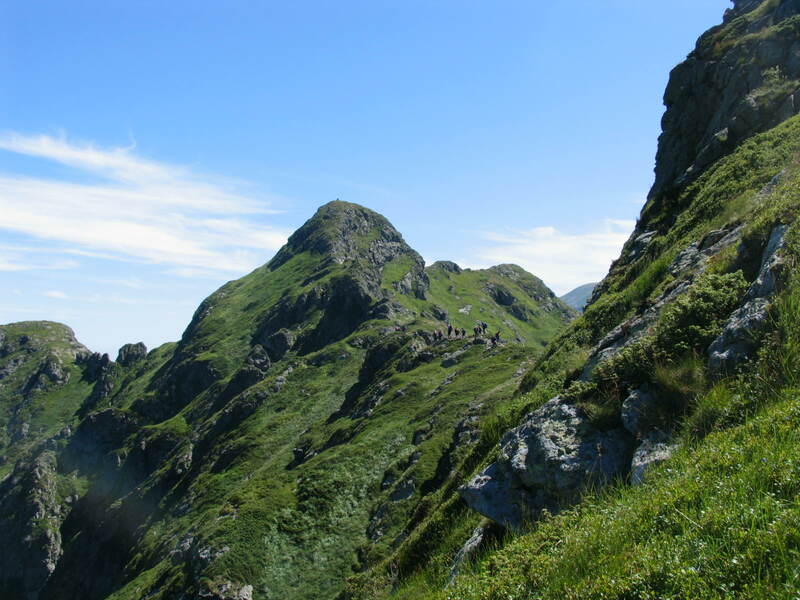 By the way they can optionally be up small peaks such as peak “Plenty Iurushka” (2.136 m). Duration of approx trek. 6 – 7 hours. Accommodation: Tuza hostel. Duration: ca.. 7 hours. 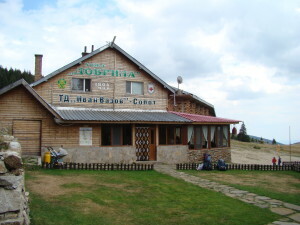 Accommodation: hotel in Uzana. Day 8 – Breakfast. Transfer to Sofia from Uzana (230 km). Free time for sightseeing or shopping last minute depending on the time of departure. Transfer to airport and departure to Spain. For groups of more than 9 people, the least of 4, Please consult the price. • Service local mountain guide speaking Spanish throughout the program. • Accommodation in double room with private bathroom use, except in shelters. • Media Alimony (excluding drinks). • Entrances to the places to visit. • Travel Assistance Insurance, cancellation, doctors, rescue, or repatriation. • Material and personal clothing trekking. The journey that we propose from west to east through the mountains of the Central Balkan Bulgaria, Mountains are beautiful and evergreen. We also visit several villages where remains a form of authentic rural life and monasteries in a very peculiar architecture and little known in the rest of Europe. Because zones are crossed sparsely populated route requires us to use mountain lodges, the day 2 Y 6, in a shelter-mountain lodge and day 5 in a shelter with a common room-room, but it is very clean and the people are very friendly. Our local guides run through this route throughout the spring and summer travelers from different countries and all customers who have been there and are very happy night there is what most remember, more hotels, for multiple stories that arise.